August completely got away from me. I don't know where the summer has gone or where 2013 is going. Wasn't Christmas and New Years just a few months ago? Anyway, last week I squeezed in some time after a late night of work and finished the Simply Solids bee block for August. I finished it with just a few days to spare in the month. Can't go wrong with HTS. This is looking so cool! 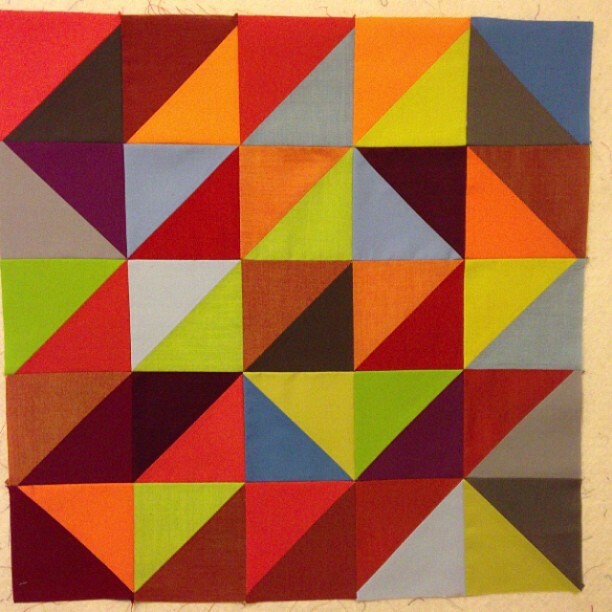 Nice work on the HSTs and the color combos!